MANILA, Philippines – It all started with stomachaches and backaches for Beverly Dizon Carretero, a 34-year-old woman first diagnosed with UTI (urinary tract infection), but she would soon undergo four operations and is now set for the fifth one – and a sixth one is already scheduled in the coming months! How did that happen? According to Lovely Jireh Carretero, Beverly’s daughter, her mother had only been complaining about stomach aches and backaches. She went to the doctor at a public hospital and was diagnosed with UTI. She took the prescribed medicines but these had no effect on her body and did not alleviate the pain. After a few days, they were referred to a private hospital with complete facilities. There, Beverly underwent an ultrasound. Based on the results, Beverly had gallstones and her gallbladder was inflamed. 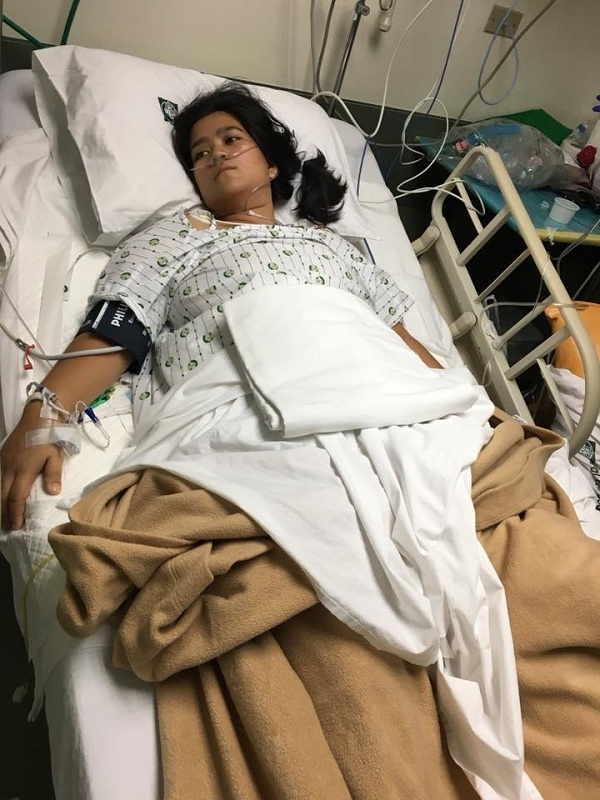 The doctor advised them to prepare Php80-100k for the operation to remove her inflamed gallbladder. Since they did not have that much money, the family decided to bring Beverly to a public hospital. During the operation, the gallstones were removed but the gallbladder was left behind because it was too inflamed; it puzzled the family because the doctor at the private hospital told them the gallbladder had to be removed because it was inflamed! A tube was placed to drain fluids from the gallbladder. They were told that the drain and the inflamed gallbladder will be removed after 3 months but during the return check-up, she was scheduled for a second operation even before the set schedule. The tube/drain was removed but some muscles were also removed in the process. The doctor told them that the gallbladder could not be fully removed because it had become fused with Beverly’s intestines. Due to the adhesion, only a part of the gallbladder was removed. But Beverly claimed that she heard the doctors talking during the operation as she was conscious at the time since she only had spinal anesthesia. One doctor worriedly asked the other, “Natamaan mo ba?? ?” Beverly and the family didn’t know what that doctor meant but the doctor would later keep on calling them to ask if she was alright and no professional fees will be charged to the family as long as they trust the doctor and not find another one. Since the family didn’t have money, they were left with no choice but to just trust in this doctor. But after the second operation, the patient suffered so much pain and was even bidding goodbye to her family, thinking she wouldn’t last the day. The doctor urged them to transfer the patient to the private hospital where she can be given better care. At this point, despite not having money, the family decided to move her there to save her life. She underwent a series of blood tests and ultrasounds before undergoing a third operation. Beverly’s husband was called to the operating room where the doctor showed him that stool was scattered inside her abdomen. The doctor (the same one they had at the public hospital) explained that this was due to ileus and diverticulitis wherein an abnormal pouch in the intestines became blocked and later burst, leaking stool inside the abdomen. A colostomy bag was connected to Beverly. 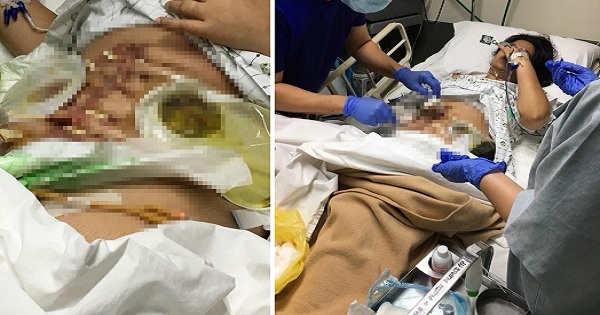 After the operation, she was already 50/50 and also suffered from full sepsis, an infection of the blood that was beginning to poison her as well. After a few days at the ICU, Beverly managed to survive. But back at the private room, her husband and a nurse noticed that stool was coming out from the wound on her stomach. Thus, she was rushed to the operating room for emergency surgery. This was her fourth surgery. Part of her intestines was removed because the doctor explained that these had burst and had already become rotten. Even her appendix was taken out, without their permission. Though they only learned about it after they had taken the body parts to a laboratory for biopsy. The family claimed that the doctor just gave the parts for them to take home; thus, they were the ones who decided on doing a biopsy. Their bill has reached Php600,000. At this point, they finally changed to another doctor for fear that another body part might be removed from Beverly. She had to undergo a fifth operation on Thursday and the family was told to expect another one in the coming weeks. Get well soon, Mommy Beverly!